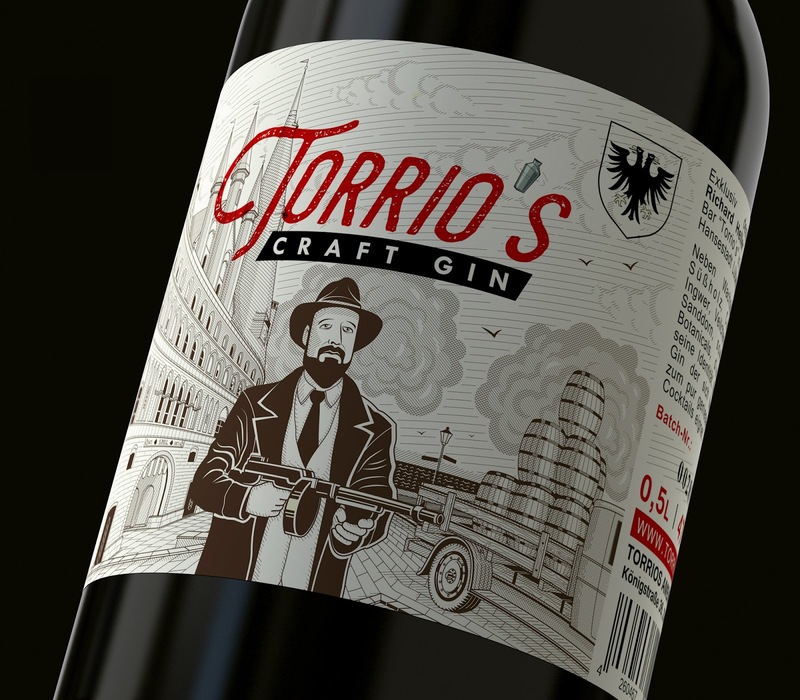 Exclusively distilled gin for Richard Heller and his bar "Torrio's" in the beautiful Hanseatic city of Lübeck. 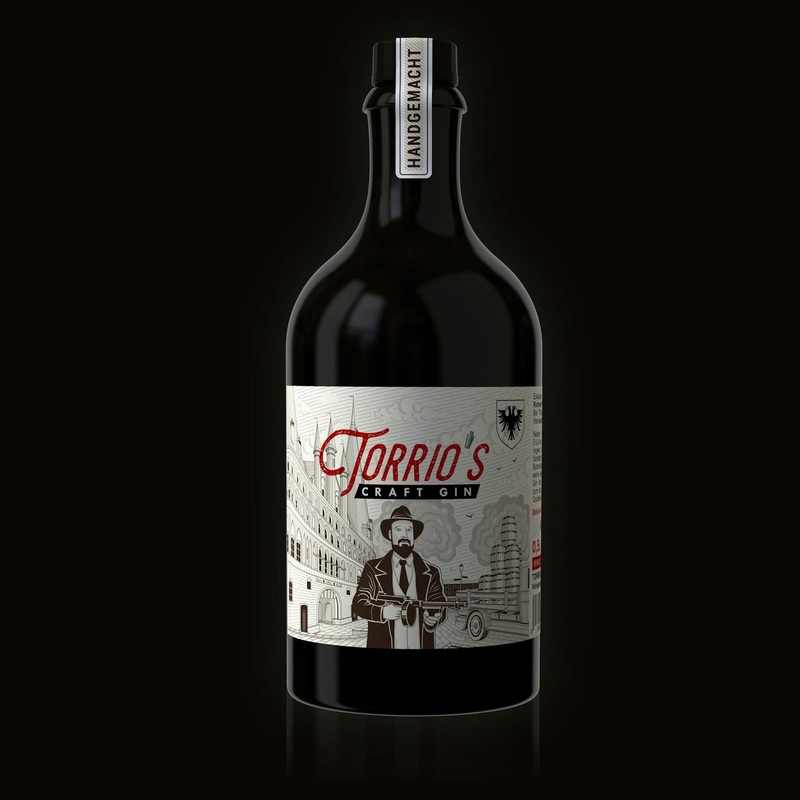 The name of the bar and gin associated with Giovanni “Papa Johnny” Torrio, he ran Chicago’s Mafia in the 1920s, building it from a prostitution racket into an illegal liquor empire. Inspired by the above, i got a composition with the bar owner Richard Heller in a gangster outfit and the main attraction of Lübeck - the Holsten Gate.